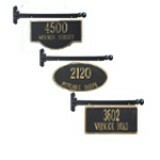 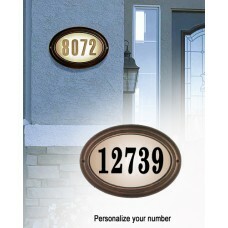 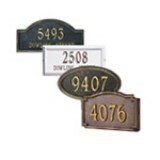 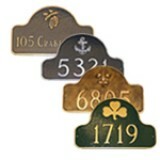 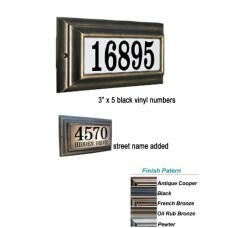 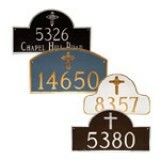 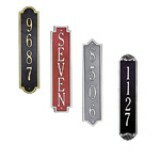 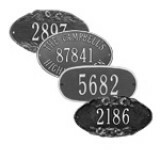 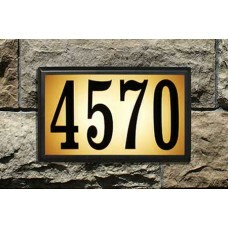 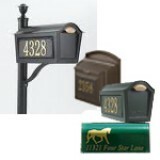 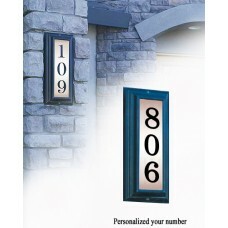 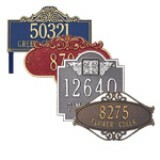 All metal plaques, memorial markers and mail boxes are made of die cast aluminum in USA. 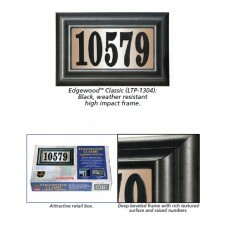 It is weather resistant and rust-free. 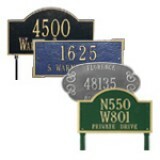 With many styles to choose from historical to decorative designs and by personalization those products will meet your maximum expectation. 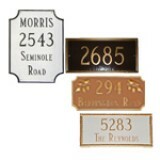 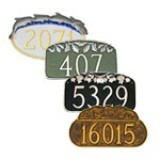 Due to the custom made nature of our plaques and signs, we can not accept any returns, exchanges or cancellations. 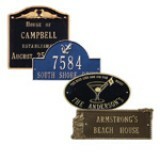 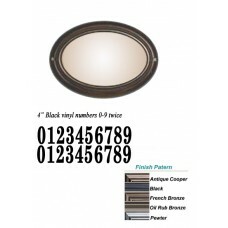 Bayside™ Estate Lighted Plaque 13-1/2" x 8-1/2" x 2-1/2"
Edgewood™ Classic Lighted Plaque 13.75" x 8.875" x 2.25"
Edgewood™ Oval Lighted Plaque 14.5" x 10.5" x 2"
Edgewood™ Standard Lighted Plaque 13.5" x 7.5" x 2.5"
Edgewood™ Vertical Lighted Plaque 7.75" x 17.5" x 2.5"